When you look back, it seems ridiculous that 81 players were taken in the 1979 NFL Draft, before Joe Montana. But, after winning a national championship as quarterback of the Notre Dame Fighting Irish, Montana went on to become the most decorated quarterback of his generation in the NFL. 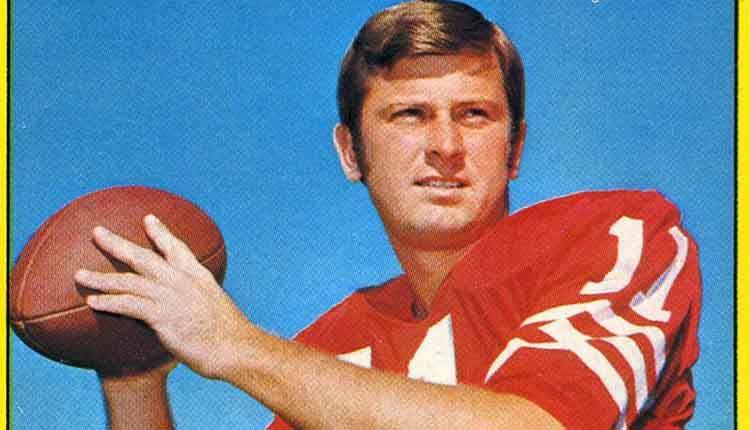 As the starting quarterback of the San Francisco 49ers, Montana won four Super Bowls, went to eight Pro Bowls, and was named to the NFL’s All-Pro team five times. He was the MVP of the league in 1989 and 1990, and became the first player in the history of the league to be named MVP of the Super Bowl three times. With his numerous fourth quarter comebacks, Sports Illustrated named Montana as the number one clutch quarterback of all time. Before he became the head ball coach at the University of Florida and University of South Carolina, Stephen Orr Spurrier won the Heisman Trophy in 1966, and became the third overall pick of the 1967 NFL Draft. But when Spurrier got to see the field as the team’s quarterback (in admittedly limited and infrequent fashion), he flat out stunk. For all his pass-happy offenses as a coach, Spurrier didn’t throw a touchdown pass in the NFL until his third year in the league. The only position where Spurrier ended up starting for the 49ers, at least early on, was at punter.